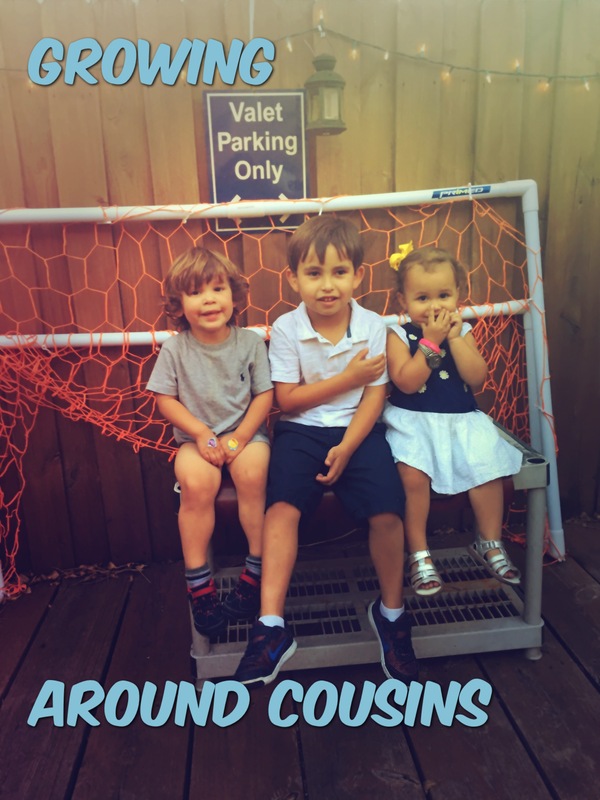 I have a 2-year-old son and at this point is happening: My son is going to get to grow up with his cousins, something I had in my life. My sister doesn’t have kids yet. Sometimes I have been had the thoughts of moving to another estate but just thinking on separate my son, my only child; from his cousins that idea breaks all my thoughts. Not only do we get together to watch our little ones run around and play, we talk about diapers, tantrums, potty training, etc. I can always count on them as we also need each other in a different way. We are each other’s escape and we are able to tell each other when we need to get out of the house in desperation for a break. We meet and talk while eating too much and drinking enough until we come back to our precious little kids. My kid can experience the adventure of a sleepover, and I know they are in a safe place is not happening yet but eventually it will. The will have a strong bond. They are more than friends. They like each other better than their siblings sometimes because they don’t have the opportunity to get on each other’s nerves as much. My son does not have a sister or brother but he has two cousins his same age. As they get older, They will be able to know exactly what the other one is talking relate to their aunts or uncles, they will always have a safe place to vent and someone who can relate. I am looking forward to hearing their adult talks about what growing up together has meant to them. I am pretty sure the answer will be the same I have from my own experience.